The Old State is proud to announce our new working relationship with Shapiro Diamonds here in Dallas. Shapiro Diamonds is a loose diamond and jewelry design studio specializing in GIA and EGL certified diamonds. They offer a private, luxury upstairs studio environment with world-class jewelry designers on site and unparalleled access to the world's wholesale diamond markets. Shapiro Diamonds provides you access to a traditionally closed wholesale purchasing environment while still providing the personal attention you deserve in selecting the ideal diamond for you. With international diamond access, private studio environment, and custom design expertise, Shapiro Diamonds deliver an unparalleled diamond and jewelry buying experience. Together with an international network of diamond industry leaders, Shapiro Diamonds offers you access to the world's forefront diamond centers - including South Africa, Belgium, Russia, Israel, and Australia. Shapiro's world-class team of diamond experts personally assists you in selecting the perfect diamond for you, while maximizing your purchasing power. Lance Shapiro, owner of Shapiro Diamonds, was born in Johannesburg, South Africa, home of DeBeers, the world's largest diamond producer. Close-knit family connections to the diamond industry, and a long family history of mining, lead him to the manufacturing and wholesale distribution of diamonds. Since immigrating to the United States in 1986, Lance has used his knowledge and elite connections in the diamond industry to excel in the US diamond market. Lance Shapiro says: "I've always felt a profound responsibility to the women who wear the pieces I create. That means never ceasing to locate the most brilliant diamonds available in the market. I am committed to raising the bar every day in our design studio, so that when a woman wears her Shapiro Diamond piece, she (and everyone else) will know that she wears a truly beautiful work of art that sparkles with her every move". It was the Shapiro Diamonds vision to create a diamond purchasing environment dedicated to setting and maintaining the highest possible standards of business ethics and professionalism in the diamond industry. Today, Shapiro Diamonds continues their dedication to the highest ethics, knowledge and consumer service. 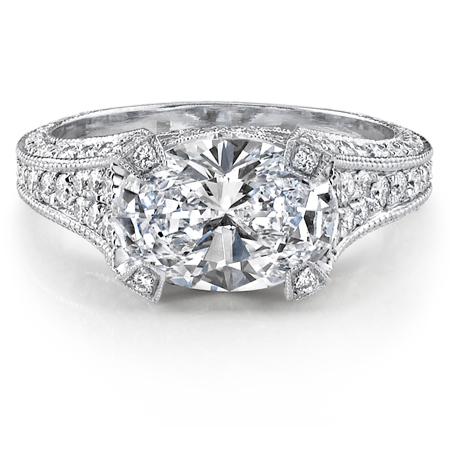 Please call 972-239-2122 to visit our Diamond Showroom and Custom Design Studio. The Old State is honored to be able to further the Shapiro Diamonds brand and look forward to a long and prosperous relationship.